To Download the Full NRCC Doc, Click Here. To Download the Full DCCC Doc, Click Here. 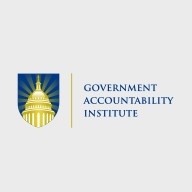 Peter Schweizer, president of the Government Accountability Institute appears on Huckabee to discuss cronyism in military spending and give a preview of the Government Accountability Institute’s report on employer amnesty in the Senate immigration bill. Watch the full video here.